How can I remove this (With picture…wire clip?)? I'm not very familiar with a lot of electronics but I was told that this is a wire clip (white 'clip' holding the black and brown wire). I want to test the black and brown wires and removing the clip seems to be the only way of doing it. I'm nervous about just pulling out the two wires... is there an appropriate way of doing it? And I'm very sorry if this is not called a wire clip. The white part is a JST connector, plugged into a JST socket. To separate them, you simply need to gently pull the two connectors apart. When trying to unplug them, do not pull on the cables. If you pull on the cables, you will either damage the metal contacts (crimps) in the connector, or dislodge the cables. Instead you should try to use a small flat head screwdriver (e.g. jewellers screwdriver) to gently pry the two connectors apart. You should be able to pry between the lip of the plug highlighted green. The better way is to get two 1/4 watt resistors and cut the length to insert into the connector along the wire path and tape so they don’t move so that you can clip on scope or DMM clips. These type of connectors have an insert plastic retainer clip that locked them. If you pressed the right spot to squeeze the ears on the plug or in other cases push a plastic spring to pull gently on the plug , it should come out easily. 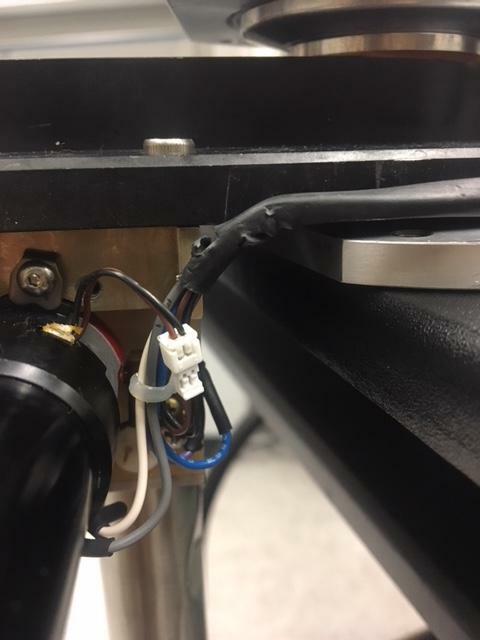 You just have to know where to find the exposed plastic spring retainer clip is and depress it with a small screwdriver while simultaneously applying a light pull. Pulling out the wires requires a special hard plastic tool with a slit to wrap around the wire crimp , compress a lock tab then the wire pulls out of the shell easily. Pulling too hard ( usually rated for >2kg) may break it. Not the answer you're looking for? Browse other questions tagged wire or ask your own question. How to modify stranded wire for use in protoboards? How to fuse wires into single solid thread? How can I power the blue LEDs separetely on this aquarium light?